A biennial for sunny sites. Height 30-60cm. Plant 5 per square metre. Yellow flowers June-August. Dies after flowering but seeds profusely. 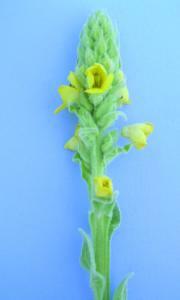 Food plant of the Mullein Moth.